Network Marketing Business Model - Better Than Your Day Job? I am sure you heard about Network Marketing , it’s a business model that is available to anyone who is serious about starting a business. Network marketing has gotten a bad rap in recent years due to some confusion with a pyramid scheme. It’s not a pyramid scheme at all. Network marketing is simply this: a marketing strategy where the sales force is compensated for personally generated sales and for the sales of those they recruit. You can create a team of distributors and be eligible for multiple levels of compensation. This business model is better than your day job because you earn from your efforts and the efforts of others. Your downline team can grow many levels down and wide. When you grow your team, you also grow your business and your income. In contrast, when you are an employee, you earn an hourly or weekly wage. It doesn’t matter how hard you work, you still get paid the same. Your employer can also lay you off or fire you, and then you would have no income. With a successful network marketing team, even if you take time off, you will still earn residual income based on the efforts of others on your team and the team can continue to grow. Residual or passive income , can be defined as income streams that are generated from the past efforts of an individual and/or current effort of others. You don’t even have to create a product. The product has already been created by a company and you build a business around that product. With this model, you invite others to join your team. Each person that joins your team is also a consumer of one or more of the products. For example, let’s say your network is focused on health products. You and those on your team purchase and use one of those products on a regular basis. Some people on your team will build their own network of consumers of the product and so on. Direct marketing is one of the fast growing industries today. Fun fact: The network marketing industry has provided more millionaires in the last ten years than in any other industry. You need your own business! Start now – just think where you can be in just 1 year from now! 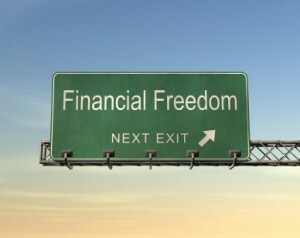 Will you be doing the same ‘ole thing or be on your way to financial freedom? I kept my day job while continuing to build my business part-time. Imagine if I did nothing for the past year! I am so grateful that I took a chance! 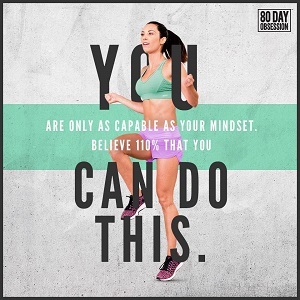 Starting a Beachbody Coach business was the best decision I ever made!